Nearly 30 years after his explosive and powerful Do The Right Thing brought him to the attention of the film world, American director Spike Lee still has the knack of hitting some raw nerves - and entertaining us in the process. 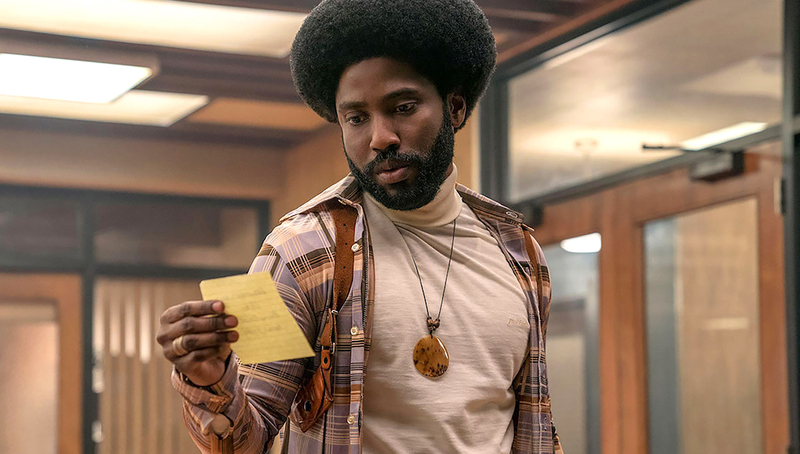 Set in the 1970s, BlacKkKlansman is based on the bizarre true story of Ron Stallworth, a black policeman in Colorado Springs who decides to infiltrate the local Klu Klux Klan. Clearly, the colour of Ron’s skin may well be a issue for his new associates, so he undertakes negotiations over the phone while his white (and Jewish) colleague Flip Zimmerman fronts up the infiltration in person. Throughout the film Lee manages to tread a careful line between humour and tension, and John David Washington and Adam Driver excel in the two lead roles. The finale of BlacKkKlansman brings proceedings up to date with shocking real footage of recent events in Charlottesville.